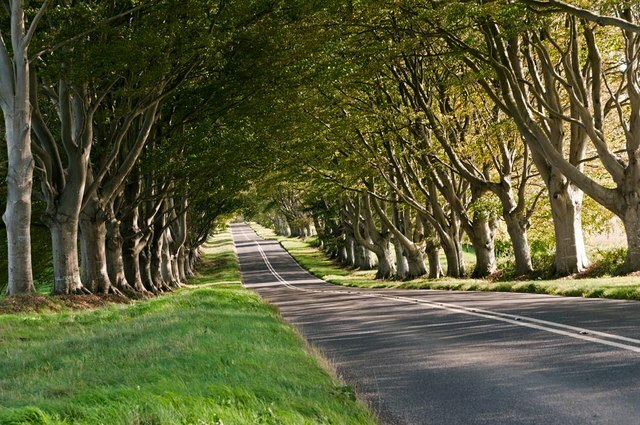 Tree planted to line an avenue, traditionally a straight path or road with trees running along each side, is a customary way to emphasize the coming to or arrival at a landscape or architectural feature. 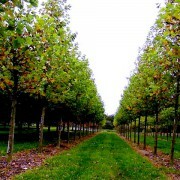 Avenues of trees are some of the most strikingly important structural plantings to be found in designed landscapes. 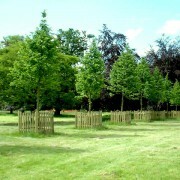 Lime Tree avenues have a long history in Britain, mentioned in written journals such as John Evelyn, who wrote “Discourse of Forest Trees”, noting in his 1662 journal that “Hampton Court is as noble and uniforme a pile …planted with sweete rows of limetrees, and the Canale for Water neere perfected“. When they were laid out, these avenues emphasised the hierarchical power of their owners. 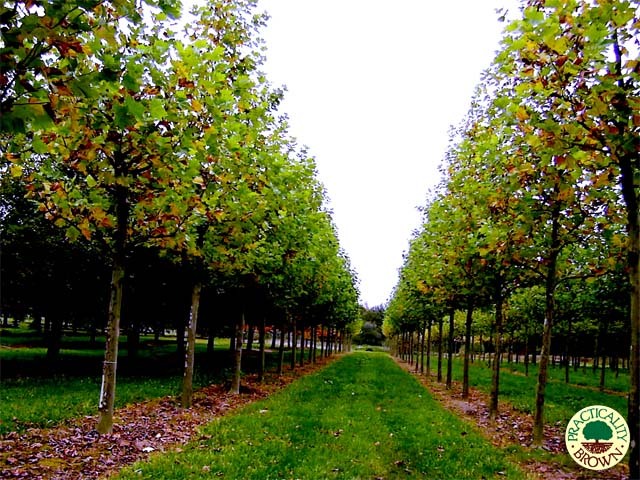 In most cases, the trees planted in an avenue will be all of the same species or cultivar, so as to give formal and uniform appearance along the full length of the avenue. 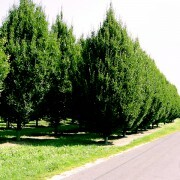 They can be planted in double rows on each side of a road. 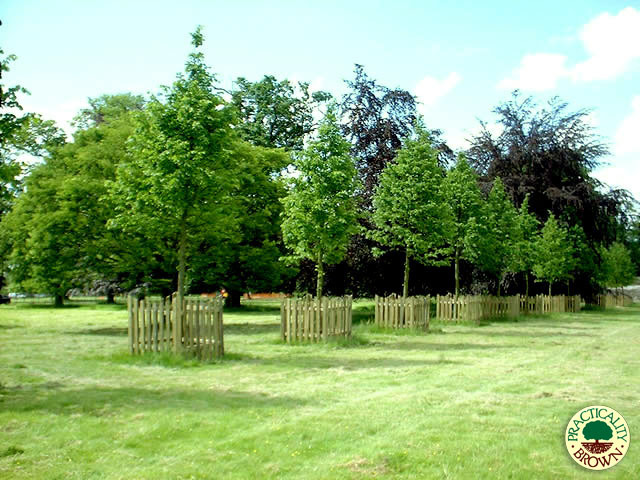 The following is a suggested list of trees that are ideal for this form of landscaping due to their height and speed of growth. 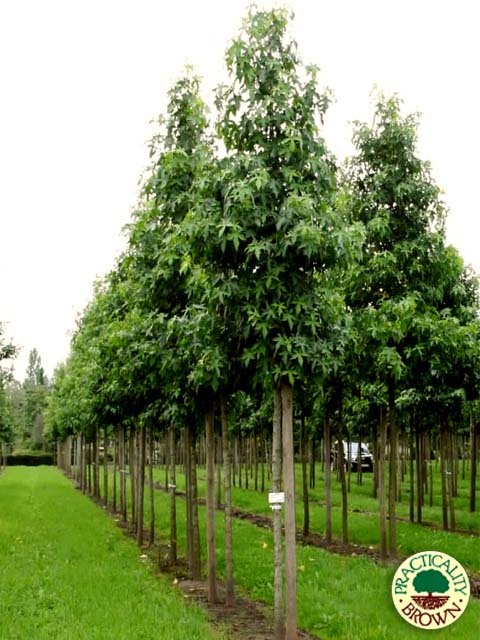 Other trees can work for this type of planting, if you are interested in other aesthetical features such as naturalistic, ornamental or shade trees, please ask just ask us. 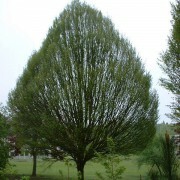 Carpinus betulus Fastigiata is a popular deciduous tree which starts out with a narrow pyramidal crown which eventually ends up as a wide ovoid. It has a very compact and closed crown with a strictly vertical trunk. 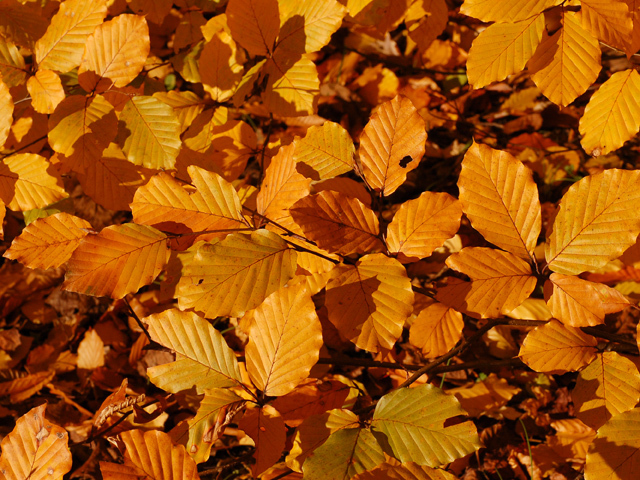 The leaves are a fresh green colour in spring and turn golden yellow in the autumn. 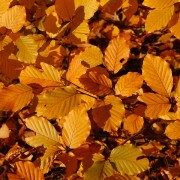 Hornbeam can be planted in sun to shade on all soil types. 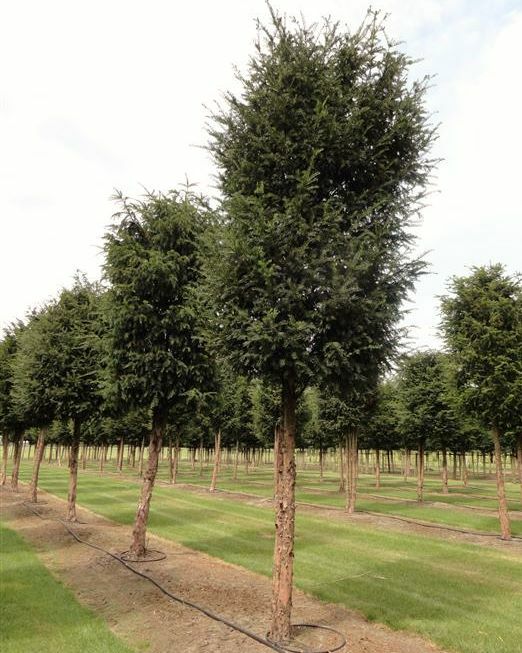 Mature height,15-18 metres with a spread of 12-15m. 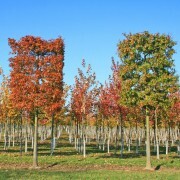 Liquidambar styraciflua is medium size deciduous tree with a slender conical crown which spread as the tree matures. 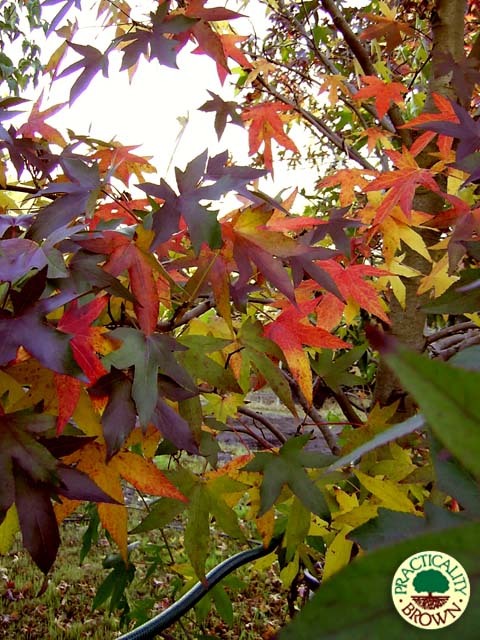 The leaves are maple-like 5 or 7 lobed and are best known for their intense autumn colours which give a stunning display wine-red with yellow, orange and violet and all kinds of shades. 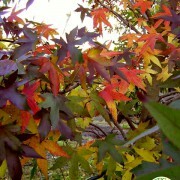 If planted on a humid site the leaves turn more violet. 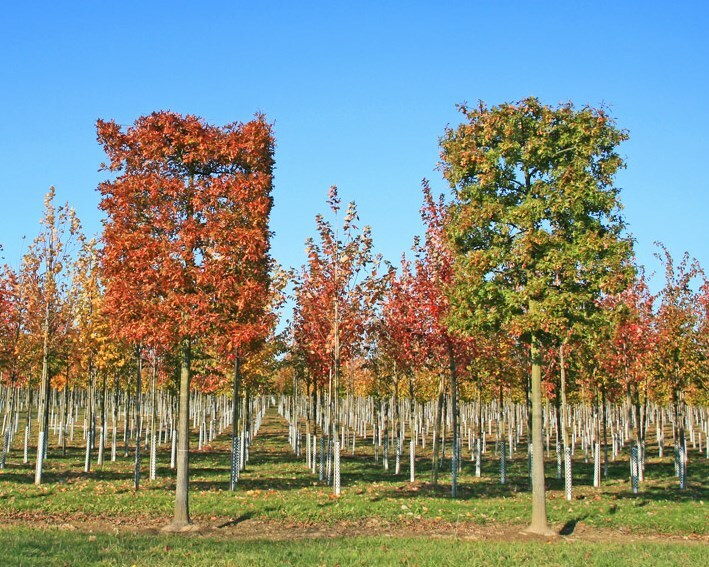 Liquidambar requires a position in full sun on fresh to moist soil. 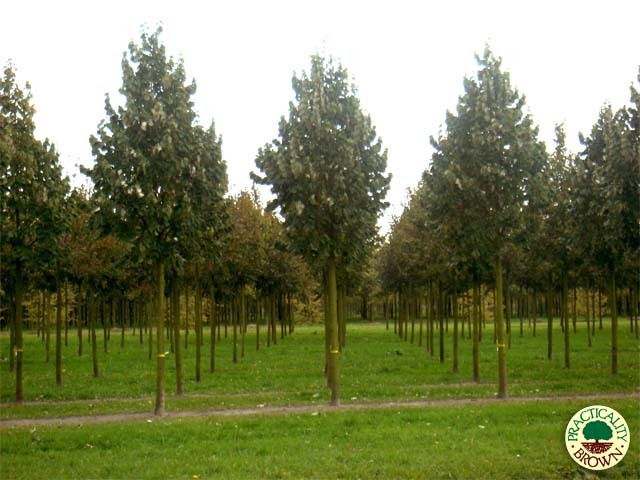 Mature height 25-30 metres with a spread of 4-8m. 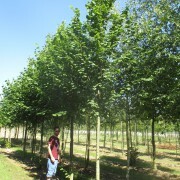 Platanus acerifolia / Platanus hispanica is a magnificent, large deciduous tree with beautiful flaking grey and cream bark. 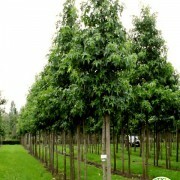 It has large leaves, starting green in the spring and turning to golden brown in autumn. 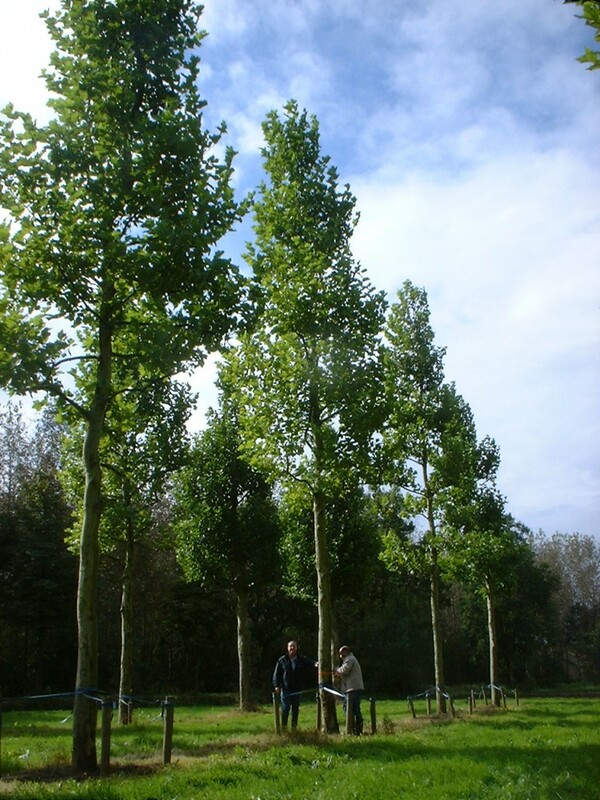 The London Plane is long-lived and hardy, not demanding, it will thrive in most soils and can be positioned in sun or light shade. 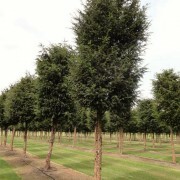 Mature height 25-30ms with a spread of 15-25m. 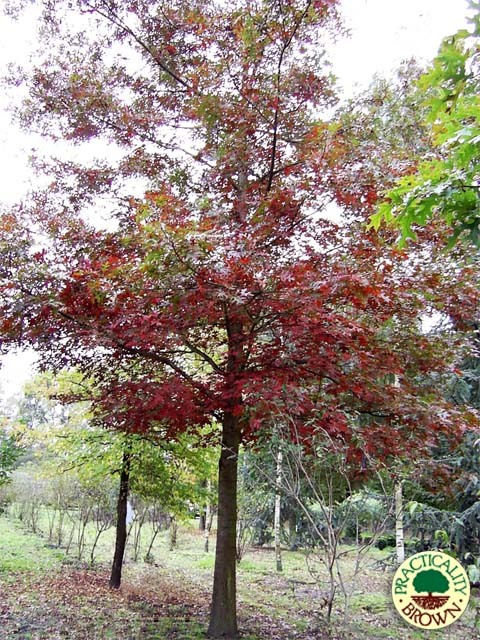 The Pin Oak is a large deciduous tree with a dense, pyramidal crown. The delicate leaves are characteristically Oak lobed. 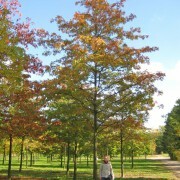 In the autumn time, the brilliant lime green turns a beautiful range of scarlet. 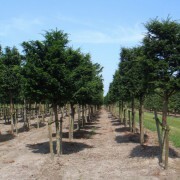 Quercus palustris is relatively tough, withstanding a range of soil conditions, including some limited exposure to water logging, though best on free draining, slightly acidic soil. 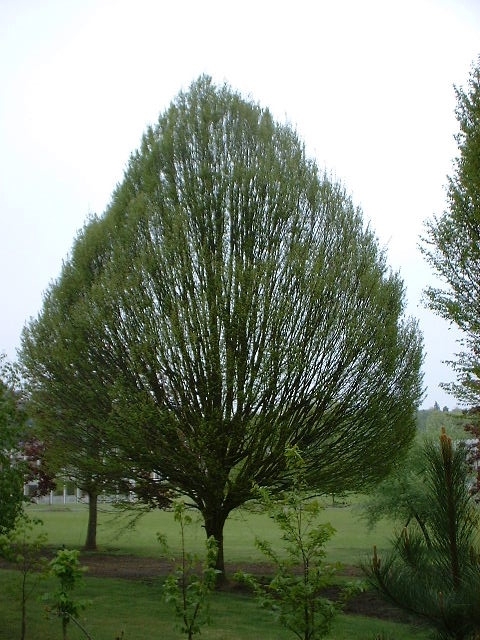 This tree takes well to pruning and is also available as a Box Head Tree. 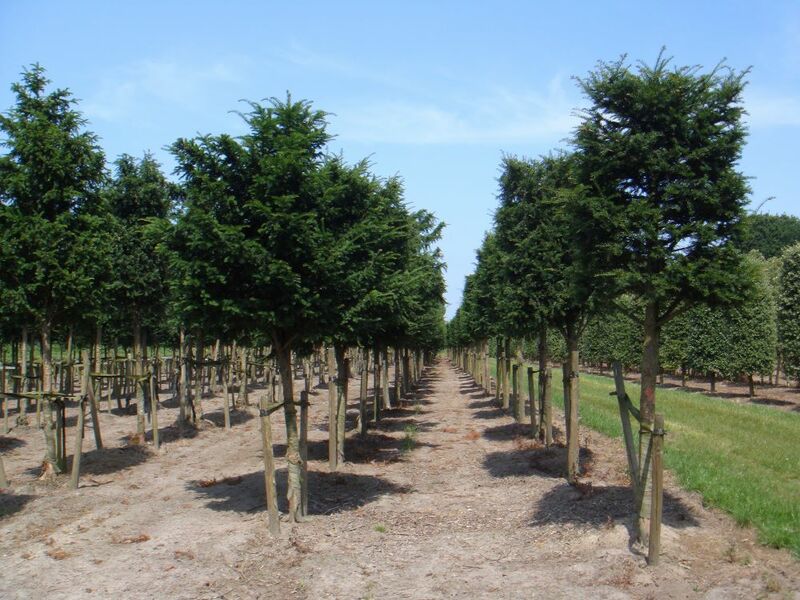 Mature height 20-25 metres with a spread of 10-15m. 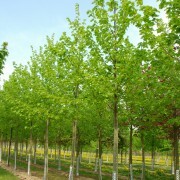 • Tilia platyphyllos or broad large leaved lime: A stately, large leaved Lime tree with luscious foliage, which gives the tree a healthy appearance all year round. 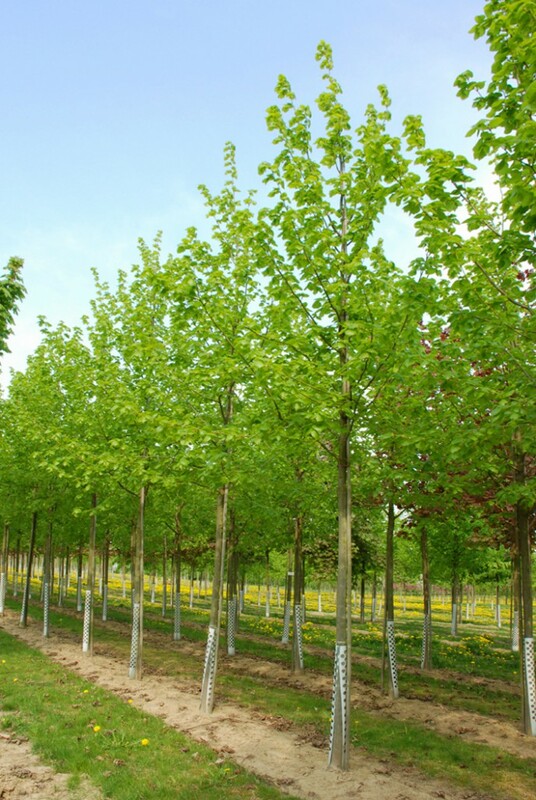 • Tilia cordata or small leaved lime: A small-leaved Lime which produces fragrant white flowers in mid-summer and is a good tree for attracting bees, in addition to the yellow leaf colour in autumn. 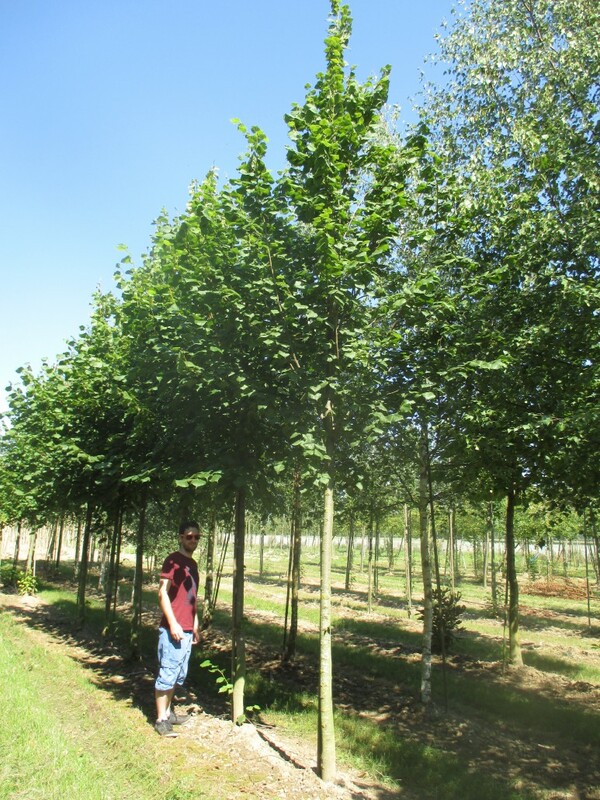 • Tilia tomentosa or silver lime: Large dark green leaves have a silvery-white underside, which move attractively in a breeze. 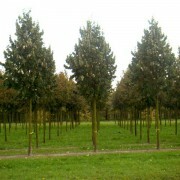 Fragrant white flowers in mid-summer and glorious yellow leaf colour in autumn. 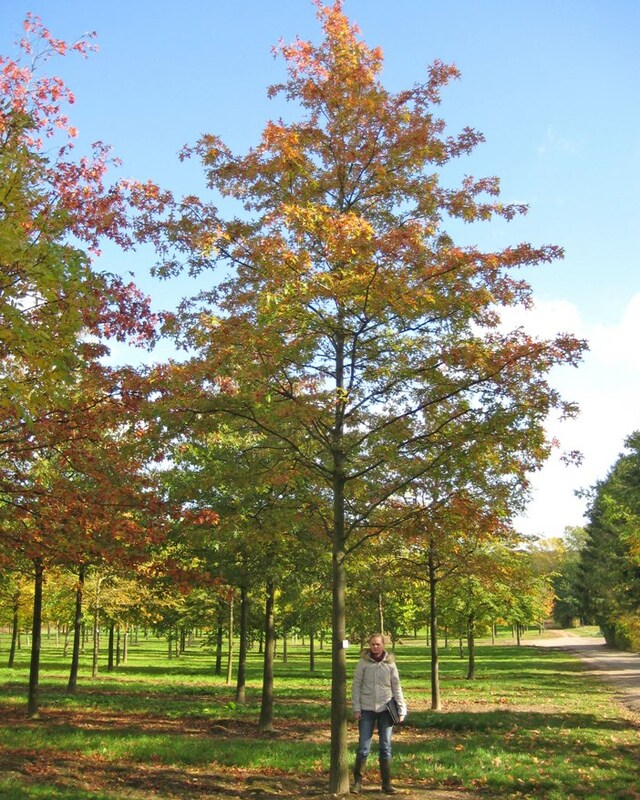 • Tilia x europaea Pallida or common lime: Pyramidal habit with light green lush leaves, turning in golden yellow and orange in autumn with fragrant spring flowers. 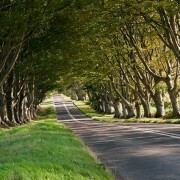 The beautiful Beech can make a majestic avenue tree. Its fresh green spring leaves become a stunning orange-copper in autumn, browning through the winter where they often stay attached until spring. 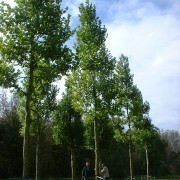 A large tree, maturing over 20m high. 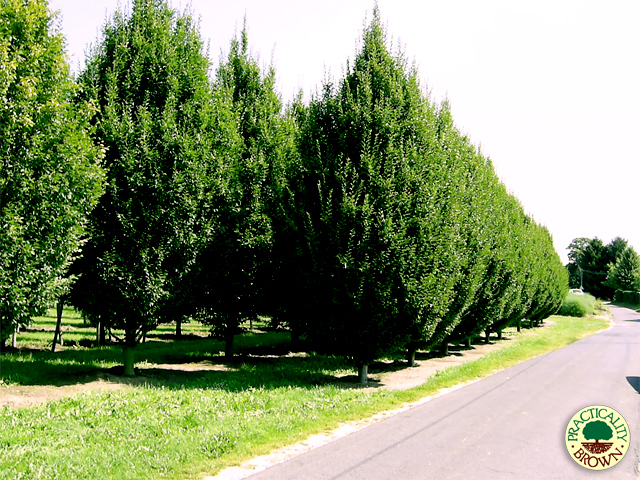 The English Yew is a classic tree with a conical shape and can make a gracefully, long-lived avenue. 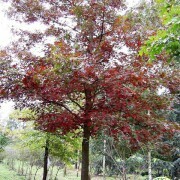 The leaves are small and dark green, needle-like in shape and grow out of spiralling branches. Yew is happy to be clipped and shaped to keep it neat, or to create topiary.